You know we have some freaks on this list when Brock Lesnar comes in at No. 9. The six-foot-three, 265-pound behemoth is the most gifted physical specimens we have ever seen inside of the Octagon. 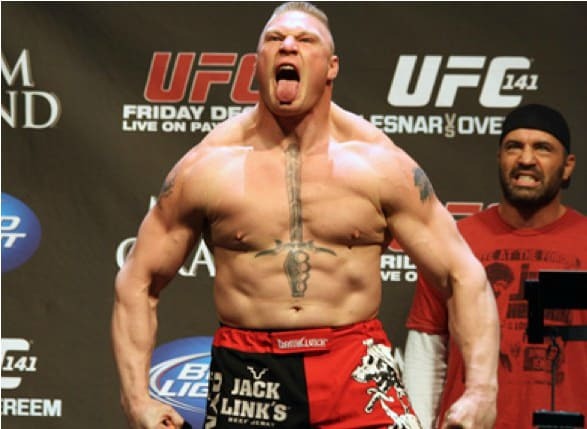 Lesnar (6-3) is a former UFC heavyweight champion who converted to the sport of MMA after dominating the professional wrestling world with the World Wrestling Entertainment (WWE). ‘The Beast’ holds Octagon wins over the likes of Randy Couture, Shane Carwin, and Frank Mir in addition to having shared the cage with heavyweight greats like Alistair Overeem and Cain Velasquez. 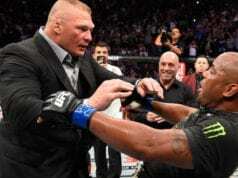 While Lesnar took a rather lengthy hiatus from the Octagon following his first round 2011 loss to Overeem at UFC 141, the NCAA Division I wrestler made his highly-anticipated return to the UFC when he took on Mark Hunt at UFC 200 in the card’s co-main event. Lesnar may have taken home the decision win, but it didn’t come without controversy. 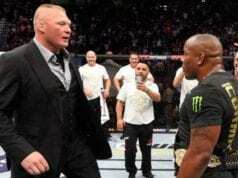 Soon after the event it was announced that the United States Anti-Doping Agency (USADA) flagged Lesnar for a potential anti-doping violation. ‘The Beast’s’ MMA career is still up in the air.